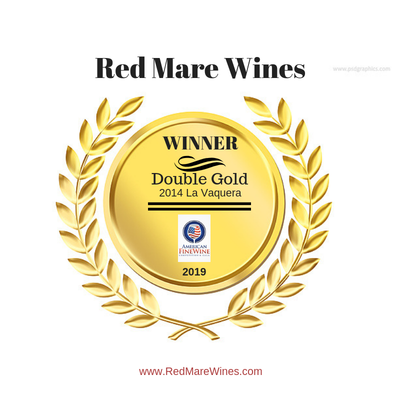 At the 2019 American Fine Wine Competition, our 2014 La Vaquera not only received 93 Points, but earned a Double Gold Award. These intense and lush flavors we get from the lean soils, namely in Calistoga, allowed us to find the "just right" window of physiological maturity and concentration of flavors. 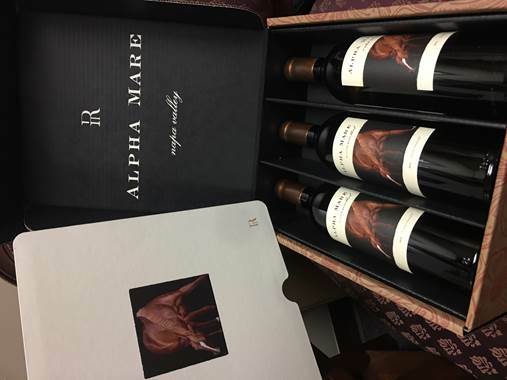 This wine is a blend of our richest, darkest and juiciest wines. Petite Sirah, Petit Verdot and Malbec and make up the main voice of the blend. At the 2019 American Fine Wine Competition, our 2015 Alpha Mare Red not only scored 95 Points, but won a Double Gold Award. This wine opens with a generous full and complex nose constructed of vanilla, cedar, graphite and black currant. Warm and comforting aromas of shortbread, warm blackberry pie and flint keep one coming back to this wine again and again. In the mouth the wine has lots of generosity but also lots of tension. Fine grained tannins mingle with a firm acidity to lift the wine in the palate and gives it a sense of energy. The tannins settle on the finish and lead the wine to a pleasing bloom of rich dark fruit. This wine is one you want to stock up in your cellar for years to come and is sold in a beautiful 6-Pack. 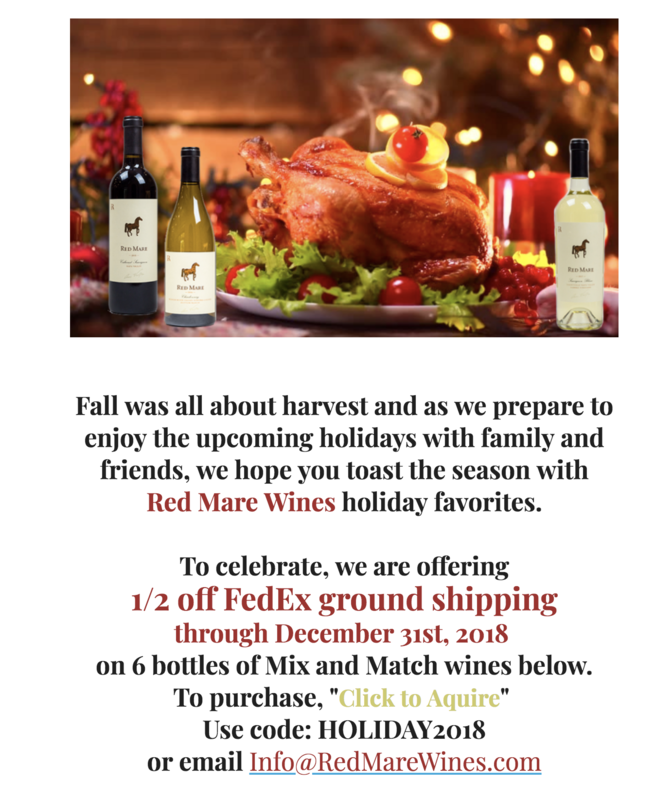 Red Mare Wines holiday favorites. on 6 bottles of Mix and Match wines below. 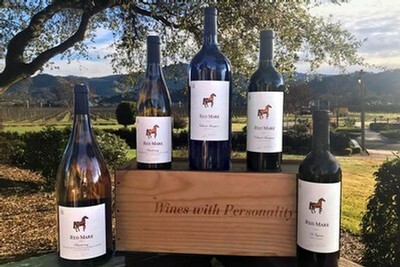 To purchase, "Click to Aquire"
Join us for a very special Red Mare Wines Dinner and Proprietor, Jim Striegel, as he introduces Red Mare Wines handcrafted and artistically produced wines on Thursday, September 27th, 6:00 - 9:00 pm. Reservations are necessary. Call us at 682-325-4046 to reserve your seats! $75 per person plus tax plus gratuity. $125 per person plus tax plus gratuity. Reservations are necessary. Call us at 682-325-4046 to reserve your seats!